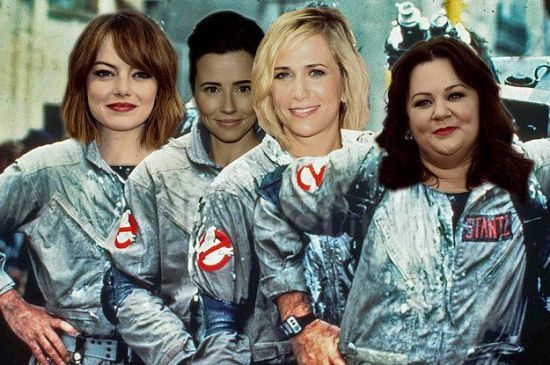 Since the mention of a new ‘Ghostbusters’ film on the horizon, speculation over casting choices has been rife – and that’s putting it mildly. 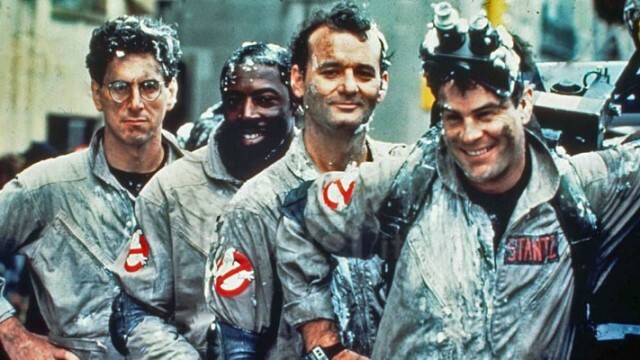 We’ve heard talks of ‘Ghostbusters 3’ with the original cast returning, reduced even to possible cameo roles, however due to the demise of Harold Ramis earlier in the year and Bill Murray’s public disinterest in the project; conversations slowly came to a standstill. The name of director Paul Feig has long been attached to take the reins of a Ghostbusters reboot with completely new actors, starting widespread conjecture that women would take the lead roles. This is due to Feig’s previous female helmed films: ‘Bridesmaids’ and ‘The Heat’. However, as a result of a tweet sent out by the director himself this month, we now know for sure that Feig will take charge of a brand new ‘Ghostbusters’ film– as expected with Ghostbusting girls this time round. “It’s official. I’m making a new ‘Ghostbusters’ & writing it with @katiedippold & yes, it will star hilarious women. That’s who I’m gonna call”, wrote Feig on Twitter. Reactions to the latest news have been polarizing to say the least. Concerns over a “gimmick” or “publicity stunt” have swirled around the impending project, turning what could have been a pivotal moment for feminism in the movie industry and the world in general, to an age-old debate of forced radicalism and equal gender rights. What Culture cited a top-10 list of why a ‘Ghostbusters’ movie with female stars is a bad idea, detailing reasons such as tokenism, predictable casting and ruining the legacy of the earlier ‘Ghostbusters’ motion pictures. In an interview with Entertainment Weekly, Feig didn’t shy from the debate however, discussing his reaction to the backlash and concerns of women taking over the roles of iconic male characters of the original ‘Ghostbusters’ films. Production is scheduled to begin next year and although no official casting has been announced yet, that hasn’t stopped speculation nearly breaking the internet over which four possible ladies would star in the new film. Hugely talented and successful comedic actors such as Amy Poehler (‘Parks and Recreation’), Melissa McCarthy (‘The Heat’), Lena Dunham (‘Girls’) and Kristen Wiig (‘Bridesmaids’) among many others have been touted as favorites to next wear the proton-packs and gray jumpsuits. No matter the outcome, you can be sure that the new movie will spark a resurgence in ‘Ghostbusters’ merchandize. A great selection of wall posters from Posterlounge is a good place to start, or even T-Shirts from Stylin Online will give you street cred.